There are countless recipes to liven up your bowl of oatmeal, but for those of you who still aren’t fans, there is another option to ‘cook’ some oats and eat them too. 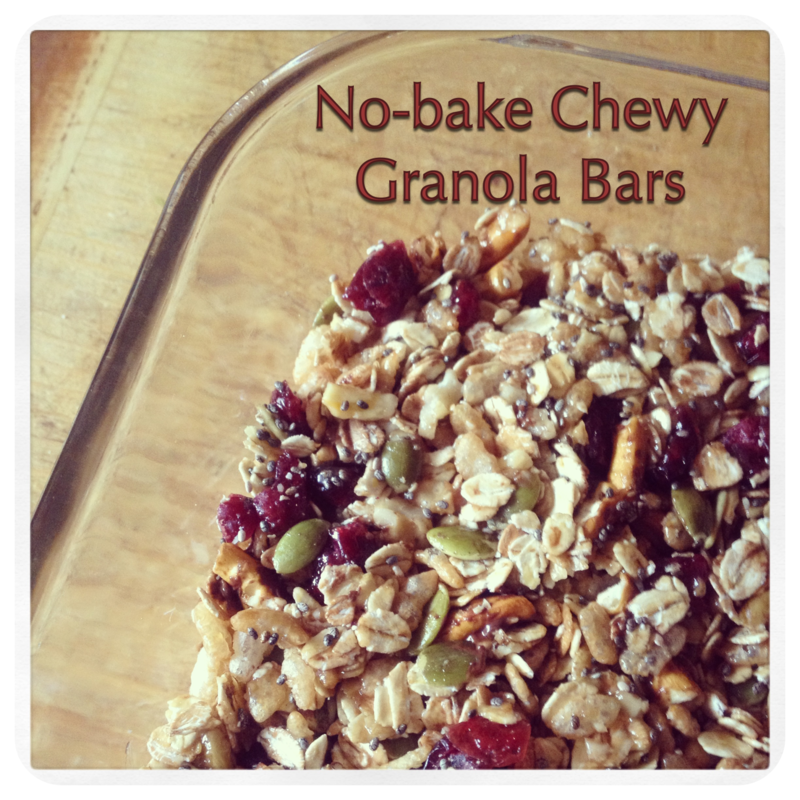 Enter the chewy, no-bake granola bar! 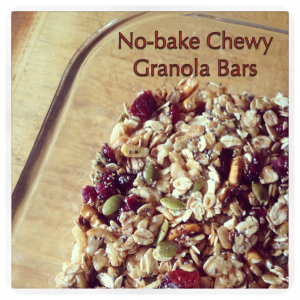 Not only are these a cinch to make, but there are endless possibilities to the combinations of ingredients. The recipe below is a combination that I’ve found to be delicious and pack a powerful, nutritional punch. 1. Place all of the dry ingredients in a large bowl and mix them up so that everything is well blended. The chia may fall to the bottom, but once you mix it with the binder, it will be stuck (literally) to the rest of the ingredients. 2. Combine the honey, butter, and brown sugar in a saucepan and bring it to a boil over medium-high heat. Simmer until the sugar dissolves (about 2 minutes) and then remove the mixture from the heat. 3. Pour the binding mixture into the bowl, and mix the dry ingredients and the binder so that everything is evenly coated. Move the the mix into a 9 x 13 ungreased baking pan and press down firmly with a non-stick spatula to pack the ingredients tightly. 4. Place the pan in a refrigerator for 30 minutes and then cut into whatever size bars you’d like!